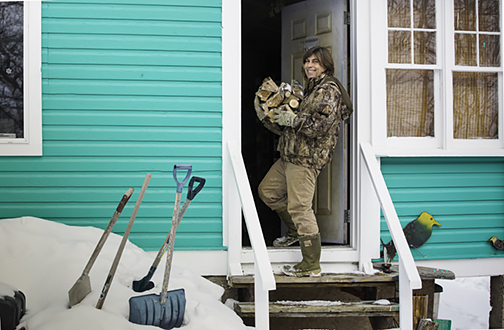 “As a young man, I traveled Canada from Newfoundland to Vancouver Island to the Arctic Circle on the Mackenzie River in the North West Territories. 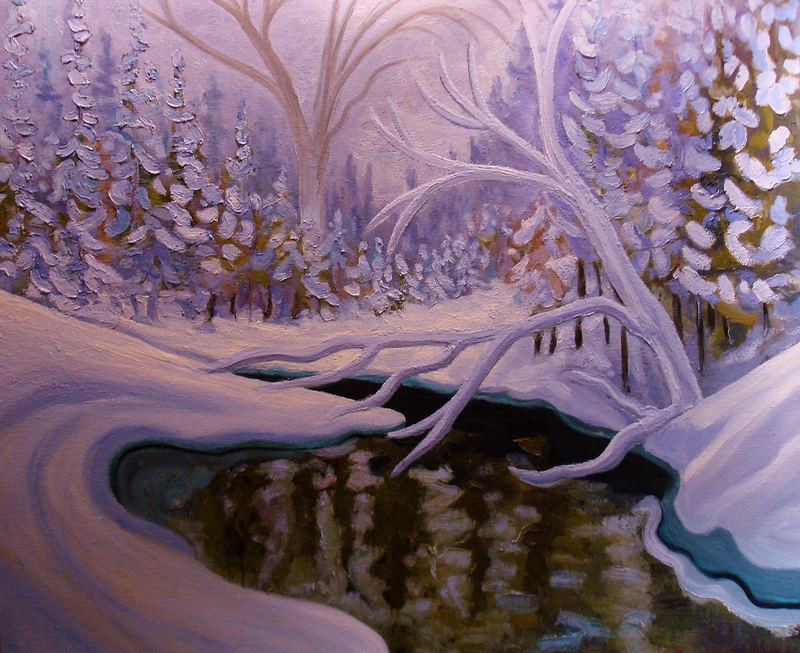 Sabourin an en plein air landscape painter, follows the Canadian School of Painting in spirit, philosophy, and practice. The Canadian School founded by AY Jackson and the Group of Seven, Sabourin makes his home in Killarney Ontario home to the Canadian School as artist in residence for Killarney Provincial Park founded by the Group of Seven. Sabourin went on to study Fine Arts at the University of Ottawa and the National Drawing and Print Council of Canada at the University of Calgary. 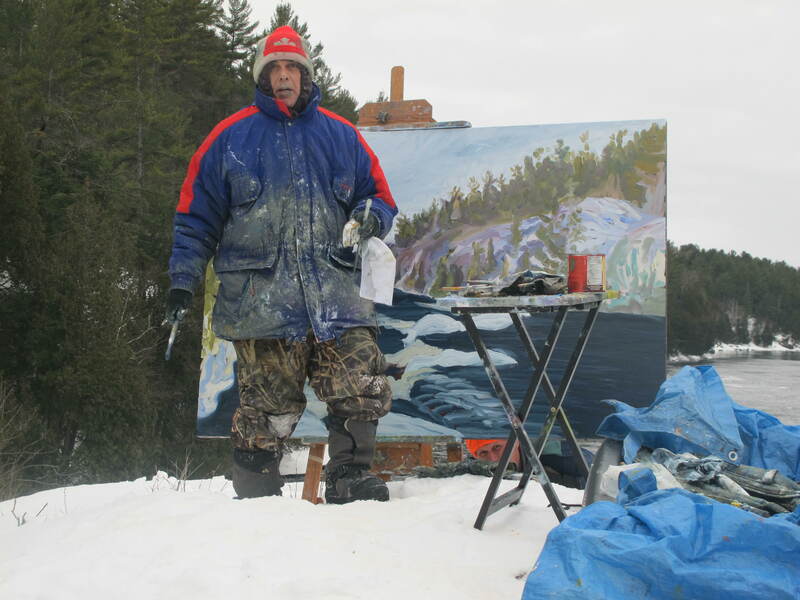 Pierre apprenticed with landscape painter Ferenc Szeles of Hungary and mentored with great en plein air winter painter, Paul Schleusner of Germany. 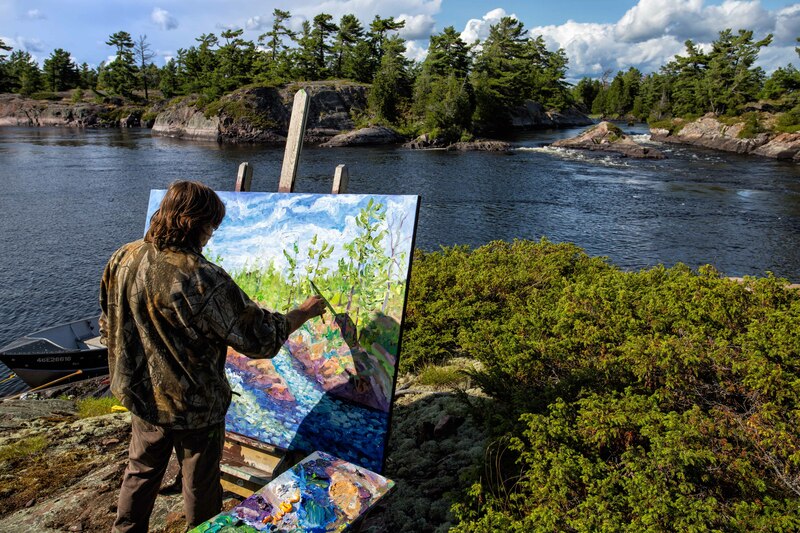 Pierre has developed a style of landscape painting that draws upon the traditions and influences of AY Jackson, Tom Thomson, JEH Macdonald, Arthur Lismer, Lawren Harris, Vincent Van Gogh, Igor Grabar, and Edouard Manet. I’m an Expressionist! I love rich colour and thick impasto. manipulating paint and creating shadow.Emersing oneself in nature allows the unconscious to be exposed allowing for a deeper relationship with spirituality in the creative process. My paintings are inspired and produced en plein air, some are completed in the studio. I paint in all weather conditions and at times mount excursions into the interior with teams to establish a studio on location. 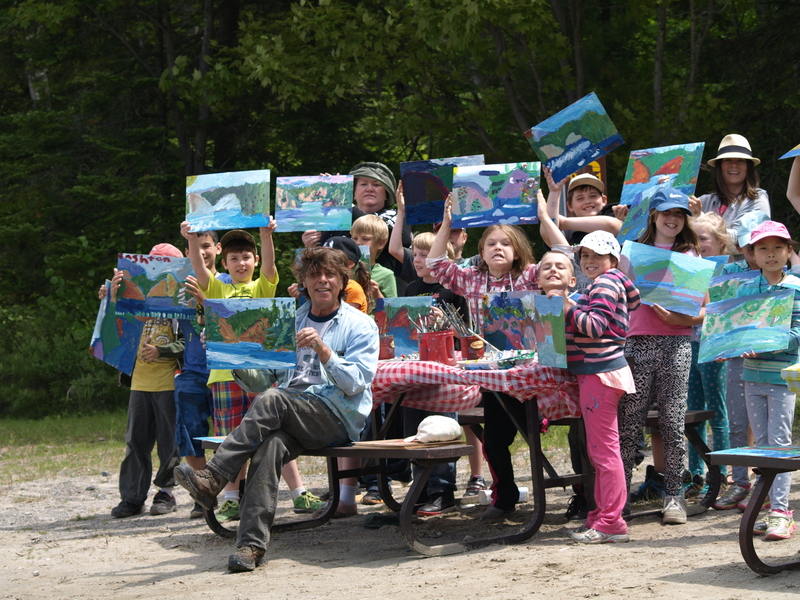 Pierre produced the Group of Seven Symposium of the Arts and Canadian Woodstock for the 5oth Anniversary Celebration of the founding of Killarney Provincial Park by AY Jackson. Spearheaded by the works of AY Jackson and Norval Morrisseau 85 distinguished Canadian and Aboriginal Artists exhibited 165 works of Art in celebration of the 5oth Anniversary. 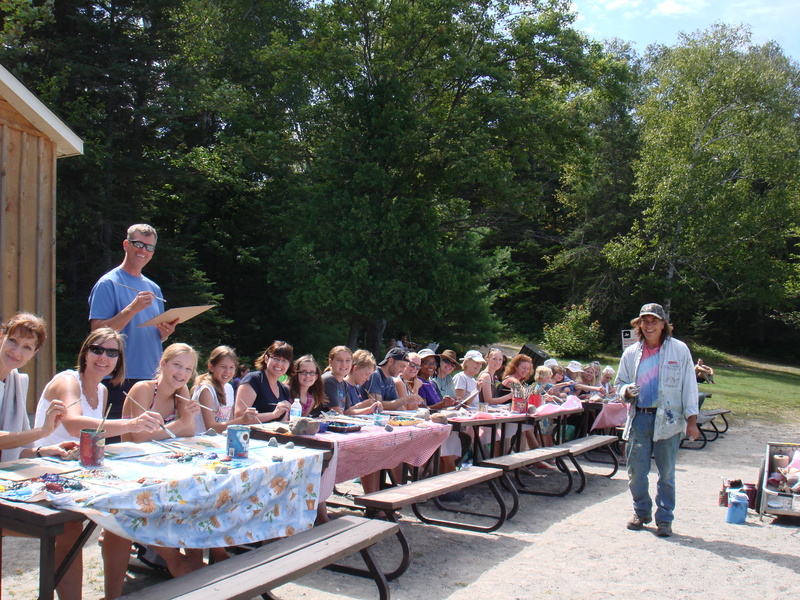 The Artist in Residence hosts the popular Footsteps of the Group of Seven painting program in Killarney Provincial Park for schools. 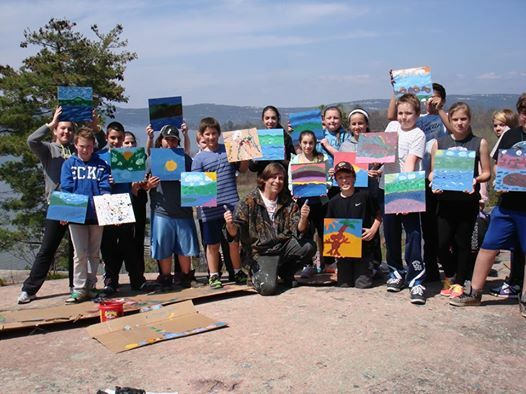 art groups and families. 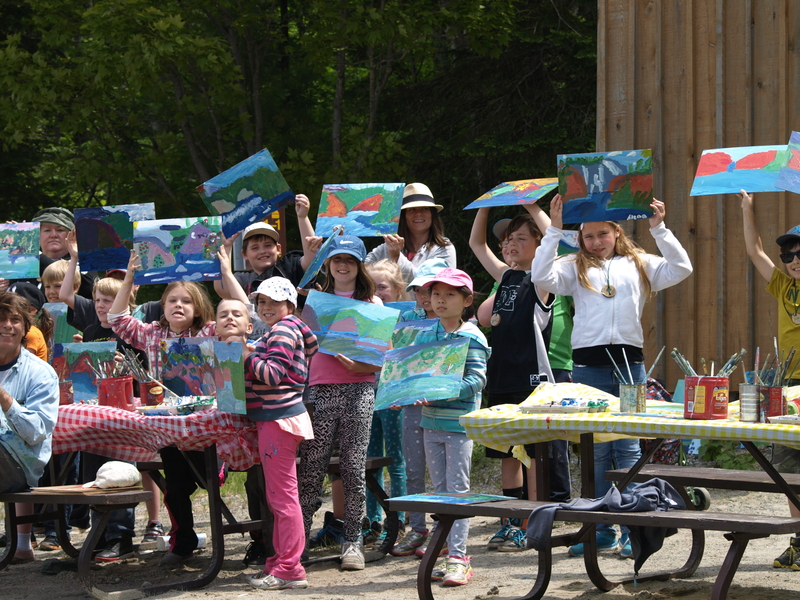 In 2013 Pierre’s Footsteps program became the most successful in the Province for Ontario Parks. In 2015 Pierre produced the Hot Mush Tour in celebration of AY Jackson. 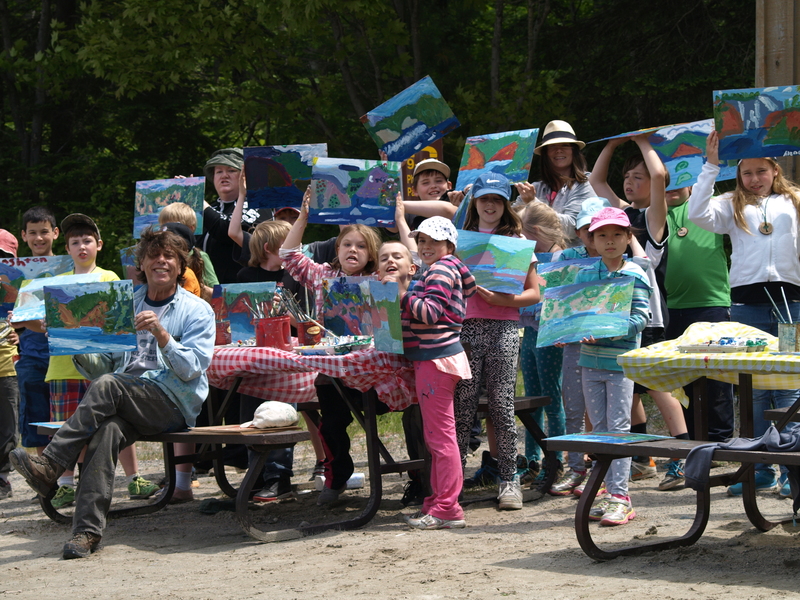 The Art tour encompassed 28 schools in townships of the Rainbow District School board of Northern Ontario, Students produced over 3500 paintings during the 40 day tour. 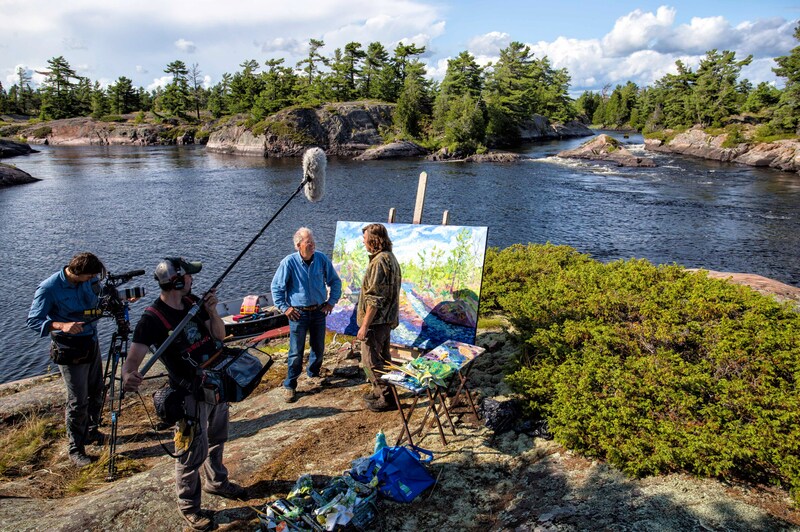 Pierre a leading advocate of Group of Seven heritage in Killarney and Northern Ontario has been included in five International and National Television documentaries. 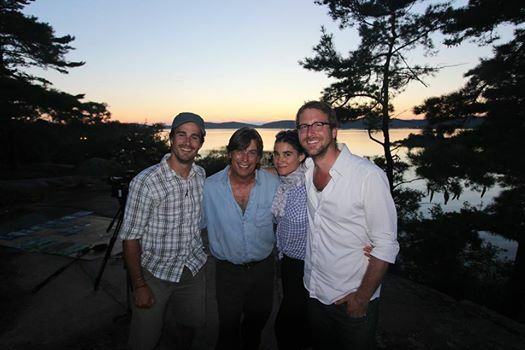 Sabourin’s innovative Tribute to Tom Thomson in French River Provincial Park was covered by CTV news. George Lake. 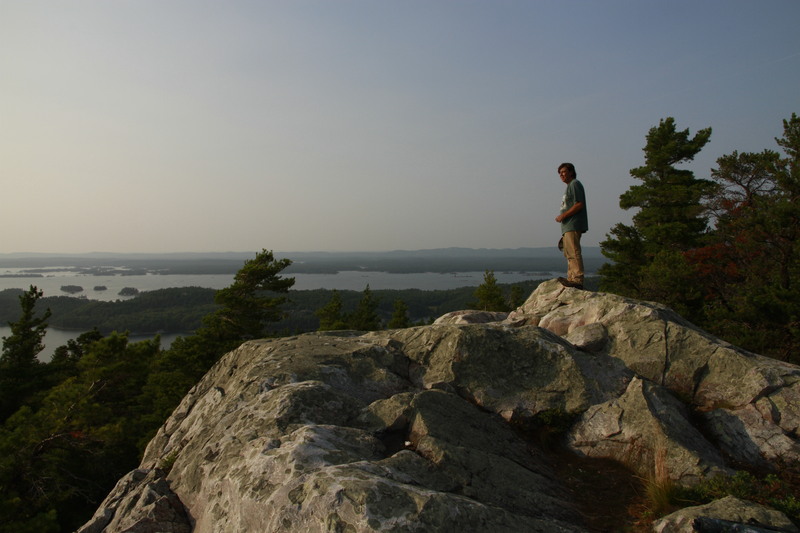 Killarney Provincial Park. and ten paintings in The Quivogne Collection of Switzerland. 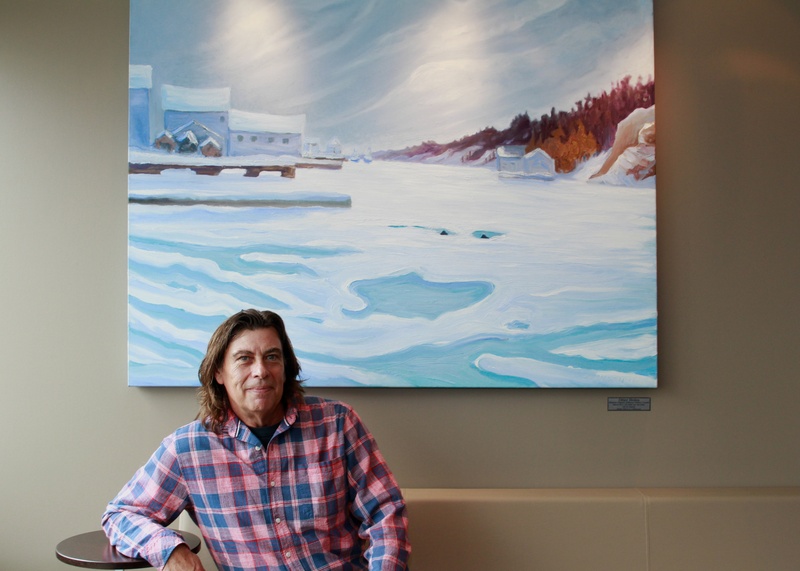 Sabourin’s paintings, are in twelve private Canadian Art Heritage collections in Canada. Pierre was an active participant in The Willisville Mountain Project a tour de force responsible for Saving the historic home of Franklin Carmichael from mining destruction. Sabourin’s Willisville Mountain was acquired by a private Group of Seven collection after completing a tour of five museums . Descendants of Franklin Carmichael’s family acquired three paintings from Pierre after a visit to Sunset Rock Studio in Killarney. Pierre has completed commissions for patrons in Canada, the United States, and France. 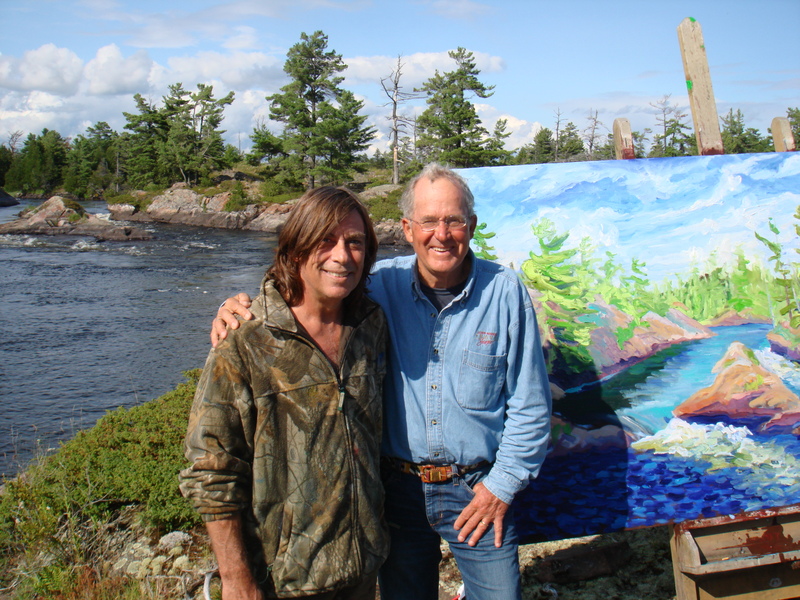 Two spectacular en plein air commissions included 48″ x 72 ” paintings in the Mink Islands and Twelve Mile Bay of the Georgian Bay. Kindness as big and wide as a prairie wind. 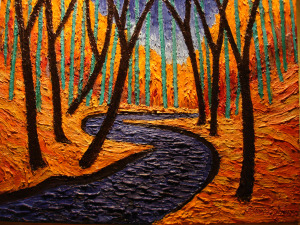 In 2016 Pierre was commissioned to paint the Smokey River and Watino Valley of Northern Alberta Canada. The Watino Collection of 17 works are currently on exhibition for one year in the Peace River Library of Peace River Alberta.